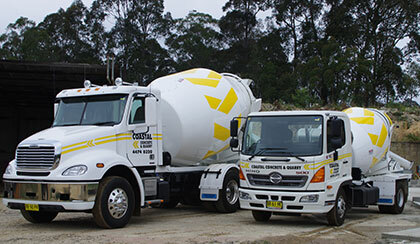 Coastal has a fleet of late model Freightliner Concrete Trucks with Davcron Agitators for large jobs. Coastal also has a late model Hino Mini-Mix Concrete Truck with Davcron Agitator for smaller loads or where access is an issue. Coastal maintains a tip truck with dog trailer for delivering 12 tonne (truck only) or 32 tonne (truck & dog) loads of fill sand or white brickies' sand. 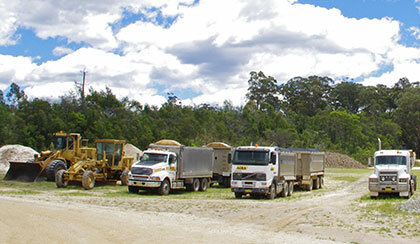 Coastal also has a prime mover with side-tipping trailer for delivery of gravel.